I’ve been meaning to get over to Cowbell for a while but it wasn’t until a good friend had her birthday dinner here that I got around to it. They’re located in the Carrollton area, where Oak Street runs into the levee and are decorated rather eclectically in hip country kitsch. We started with cocktails. It was a little cold so I had the Chupacabra with cocoa, coffee, tequila and other flavorings. Good but a little to much of the coffee flavor for my taste. The Nutty Irishman was very good and the Fruit Fly was very refreshing with mint and citrus in a sugar rimmed tumbler. I didn’t particularly care for the Pim’s cup – the tonic/soda they used made it too dry and the mint was confusing. 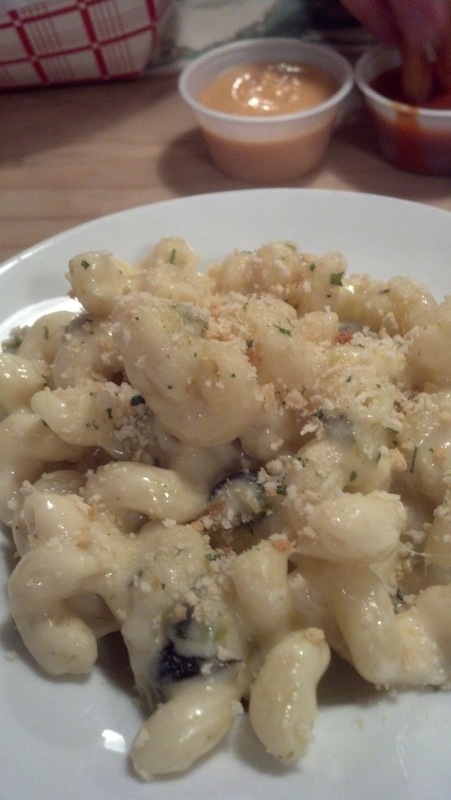 I started with the mac and cheese – terrific flavor with a nice selection of cheeses. While it could have been a little more creamy, it very much is something to order for the table and let everyone have a bite. We all had the Locally World Famous Cowbell Burger. Mine came with white cheddar and house made pickles. 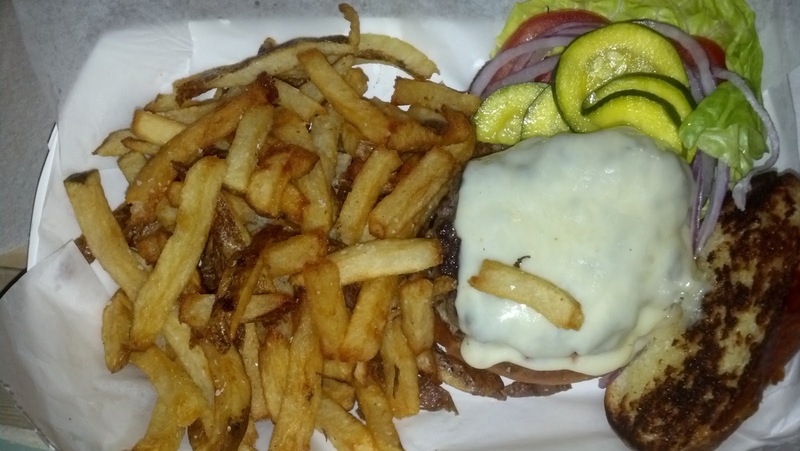 The burger is thick, perfectly seasoned, high quality meat and cooked to order. It is definitely one of the best in the city. The bun is lightly toasted and comes with homemade ketchup and their house agogo sauce (which I didn’t care for – a mix of mayo, sirracha, and honey). They had very friendly staff from the hostess who plied us with drinks while we waited for the big table to become open to the server who checked in regularly and was quick to explain specials, desserts and menu items. Lots of humor and teasing, which is a sign of people who enjoy their work and want you to enjoy your experience. Definitely worth the visit and on my list to head back to again when I’m craving a good burger!